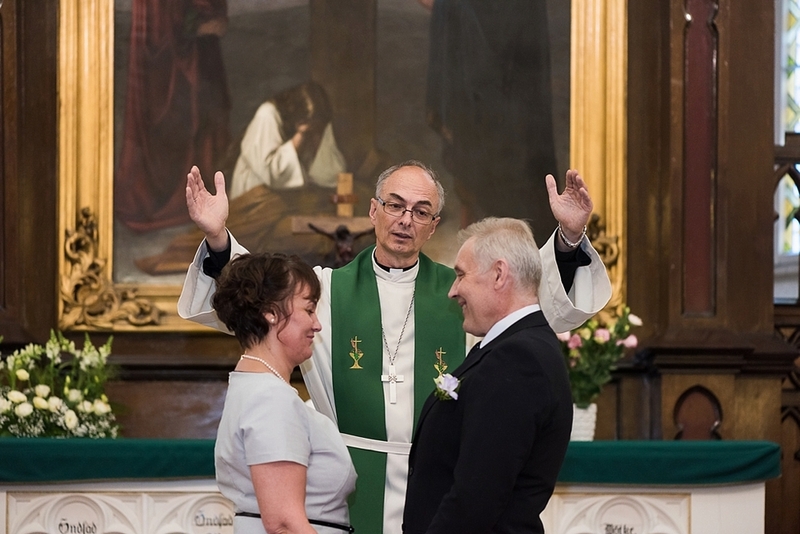 K & L wedding takes us to some of the best places Tallinn has to offer for this special occasion. The day started with a magnificent view over the city from a Swissôtel suite. The ceremony and the portrait session took place in Kadriorg, famous for it's historical palatial park and lovely wooden architecture. The guests were invited to Hopner House in the Old Town next to the Town Hall Square where the party lasted until after midnight. Möödunud aasta pikima päeva veetsin ma pulmas. Nüüd sellele tagasi vaadates - oli päev nagu "Ameerika mäed"! Klassikaline jaanipäeva ilm: kord päike, kord vihmasadu, ent termomeeter naljalt üle 15 kraadi ei kerkinud. Pruutpaari portreesessioon ähvardas üldse ära jääda, sest ettenähtud ajal ladistas vihma. Viimaks hiilisme veerand tunniks külaliste juures eemale. Saime jäist tuult ja - vikerkaare! Sellest pulmast jään mäletama suure ühtse pere tunnet, mis rabas mind hommikul üle läve astudes. Siiani kahetsen, et ei teinud pilti 20 paarist jalanõudest, mida ettevalmistuskoha esikus nägin. Seda ei kohta just sageli, et pulmaettevalmistustesse on kaasatud lisaks pereliikmetele ka kümmekond pruudi ja peigmehe sõpra. Oli veidi rallimist Võsu ja Käsmu vahel ja tund aega enne tseremooniat olin Käsmu vallamaja eest auto põhjaga kivi otsas kinni mis kinni. Kohalikud noormehed olid sellega juba harjunud ja lahendasi olukorra suurema kärata. Kuna puhkeküla territooriumil lõket teha ei lubatud, oleksimegi peaaegu jaanituleta jäänud, kui poleks olnud videomees Arminit, kes leidis mere äärest kohalike külameeste peaaegu kustunud lõkke. Nii palju kui silm seletas, võis meeste nägudelt lugeda, et pruutpaari külaskäik nende jaaniõhtule, muutis selle ka neile meeldejäävaks. I loved the idea of the wedding from the start. The groom was from Estonia, the bride from Morocco and the wedding guests from all over the world. The concept was to honor different cultures and wedding traditions. Therefore the dress code was also inspired by national costumes and it definitely added so much to the overall mood of the event. It was one of the hottest and most beautiful days of the summer 2014. This is a very heart-warming story about marrying a girl next door and building a home together. The colours definitelt add to the feel. Some couples are just fun and sweet and courageous and get married in October and run around half naked in freezing cold. I love them! This couple met through church and religion plays a very important part in their life. Whenever I looked at the sky that day, always something rather impressive was going on. At some point in their lives women get asked why they want to get married. It must be cynical of me - can't help it - to assume that popping a question nowadays means rather "why" than what it used to mean. First, when you hear it, you might be feeling astonished. For a true old school lady this is not a question to be considered worth answering. For the more emancipated sisters it just takes lots of explaining. What's your answer? Shooting a wedding is always a very special occasion for me. 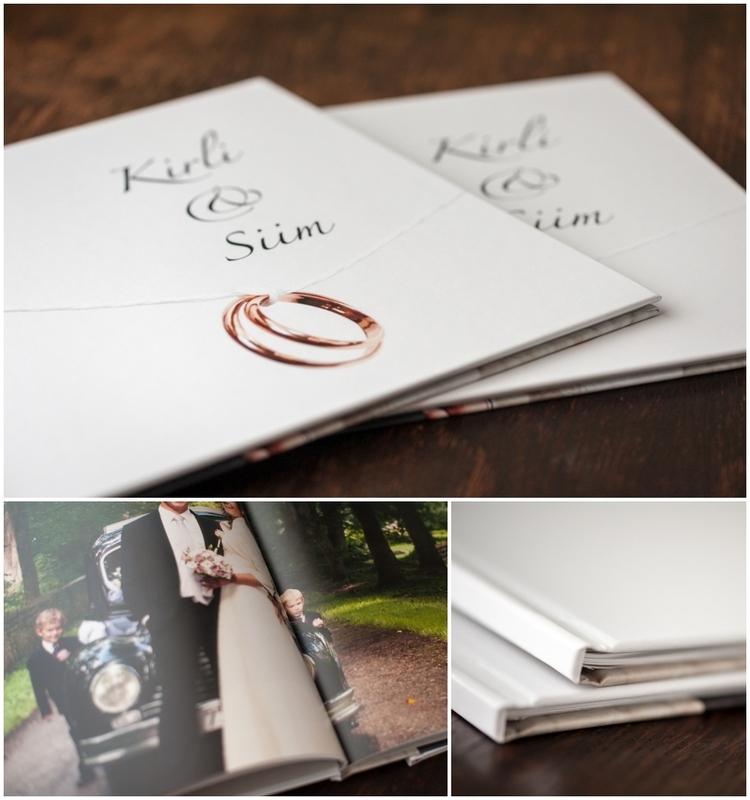 Following the couple everywhere forms a bond that usually grows even stronger after delivering photos and taking orders for large prints or photo books. I want it to remain so and consciously avoid overbooking. I have been very lucky with my couples, meaning that all of them have been happy with me and I have been happy with them. This young autumn couple I will remember for appreciating photography even past some other aspects of wedding. It was a moderate, unpretentious wedding and they had very reasonable expectations for photography. I remember the bride sitting in front of me in our first meeting, saying: "We don't need lots of photos." And with a little anticipation in her voice she added: "But hopefully some of them will be really good!" 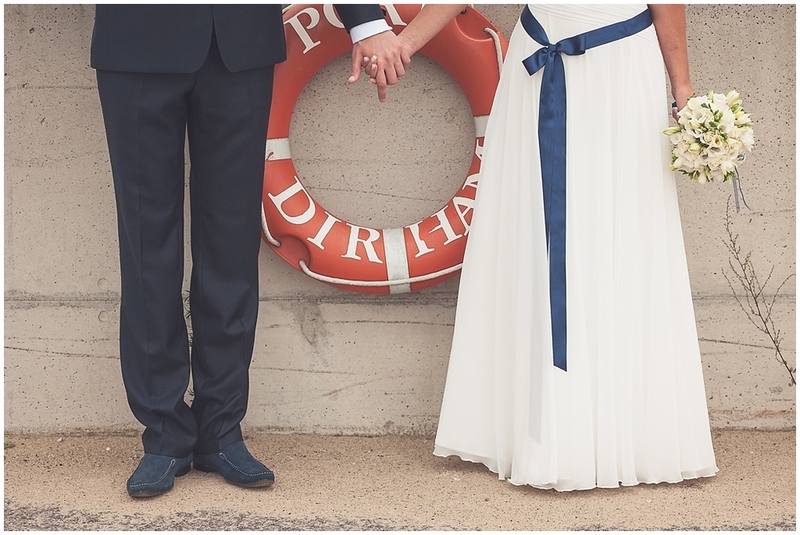 The portrait session on a sailboat was definitely the highlight of this wedding for me. Keeping balance and not getting sea sick was a challenge for me as well as the groom.